To produce a masterful product, Flaviar utilized original cognac sensory tactics and incorporated them into a beverage that can be enjoyed by any consumer – over the age of 21, of course. 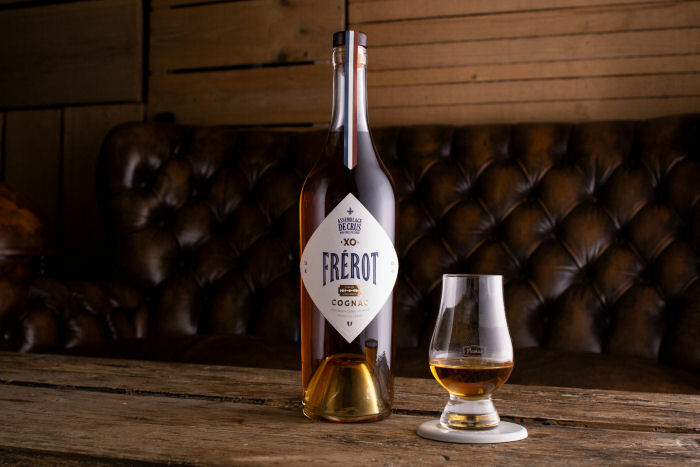 The reduced in sugar, non-caramelized Frérot is meant to be enjoyed by more than just the “elite” or quintessential cognac drinkers, which is greatly appreciated because the smooth tastes of the beverage, in my opinion, will be widely accepted by consumers. The company also ensured that the branding was on-point by incorporating subtle pantones to create a rustic look, as well as including French heritage with a flagged seal. The goal of Frérot is to be incorporated into flagship locations around the country for patrons to enjoy. For now, Flaviar has a sense of exclusivity where you can become a member of the brand to receive specialty discounts and rates on the various spirits offered. You can sign-up to become a member at the Flaviar website. Do not forget to gather your bros and try this all-new cognac spirit. Follow Shaun Melady on Instagram at @ShaunMelady.